They will write between 15-20 reports • Homs says the group’s work will benefit both those in favor of and against the creation of a sovereign state. The National Transition Advisory Council was constituted this evening with the intention of preparing between 15 and 20 reports during 2013 and plans to have a report on the referendum itself ready before summer. The objective is to develop materials and sufficient arguments for debate among both those in favor and against the creation of a sovereign state. The Councilor of the Executive, Francesc Homs, remarked that the council's work will benefit everyone, because there will be materials and documents that facilitate contrasting ideas, beyond the positions expressed in an electoral campaign, “when things were said that were not clarified or contrasted, because no one had delved very deeply into them”. The President of the Council, Carles Viver Pi-Sunyer, made an initial proposal for a working plan but hoped to get consensus from the rest of the group’s members. In principle, it foresees developing between 15-20 reports during 2013 divided among four categories. The first is state structures, in which would be included a revenue agency, a central bank, other agencies and regulatory bodies, the judiciary, electoral administration and foreign service, for example. In the second category are the processes. 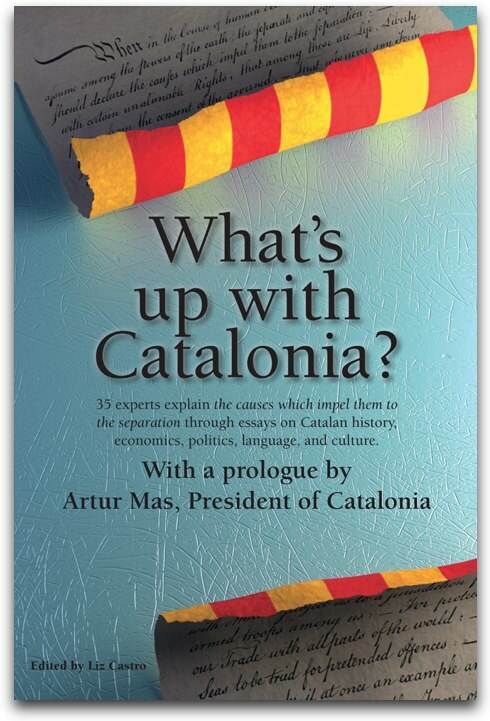 The most notable is the referendum, the report on which would have to be ready before the summer, but there will also be one on the transition of ordinances and norms (penal and mercantile codes), another on how the relationship will be forged with the EU, the relationship with international organizations, and how the relationship with the Spanish state will be articulated. The third area is economics, and will contain a study of which resources the Catalan public administration will dispose of and which funding resources it will have to have, how assets and liabilities that are currently shared with Spain will be divvied up, and how contracts regarding goods and services will be dealt with that are controlled by the Spanish state. The fourth area is reserved for specific topics, like social security, energy matters, security and defense, dual nationality, language and official status of languages. Homs remarked that the council has a huge task before it and asked that it not be judged until after it files its reports, knowing that there is an “undeniable commitment to doing the job well, since the reports will be examined very closely”. He ensured that the reports would not be based on feelings, but rather on documentation, information, and data, and developed by a completely professional council. “We could have made it more partisan, but we opted not ” he noted. The Councilor of the Executive recognized that the government's objective was to hold a referendum and with the winning option being the establishment of a sovereign state, but he said that the work of this council would serve those in favor as well as those against, because it would provide material for everyone to debate. He added that “today, knowing what belonging to Spain means doesn't require a lot of study” because there are everyday examples all around, but that there much less available information about what it what it means to have a sovereign state. The Council president nominated a vice-president, Dr. Núria Bosch. In addition, a new member was added, Rafel Grasa, director of the Catalan International Institute for Peace. In total, there are now 14 members, with one seat that is temporarily vacant. Àngel Castiñeira i Fernández, director of ESADE-URL's Leadership and Democratic Governing Chair and Department of Social Sciences. Joan Font i Fabregó, business leader, CEO of Grup Bon Preu. Ferran Requjo i Coll, professor of Political Science at the Pompeu Fabra University (in Barcelona). The National Transition Advisory Council will focus on identifying and analyzing all of the possible legal options for the national transition process, advising the government on strategic structures for the future government and Catalan institutions, optimizing available resources, proposing events and fomenting the distribution of information abut the national transition process throughout the international community and identifying sources of support, and advising the government on deploying institutional relationshiops in Catalonia so as to guarantee the process as a whole. The Council is part of the Department of the Presidency (Executive), which offers administrative and logistical support, and is coordinated by the head of this department, in agreement with the vice president of the Government. As with other advisory councils of principle aspects of political action in Catalonia, the seats on the National Transition Advisory Council are unpaid positions.